Welcome to Aviko! | Let's meet at the table! 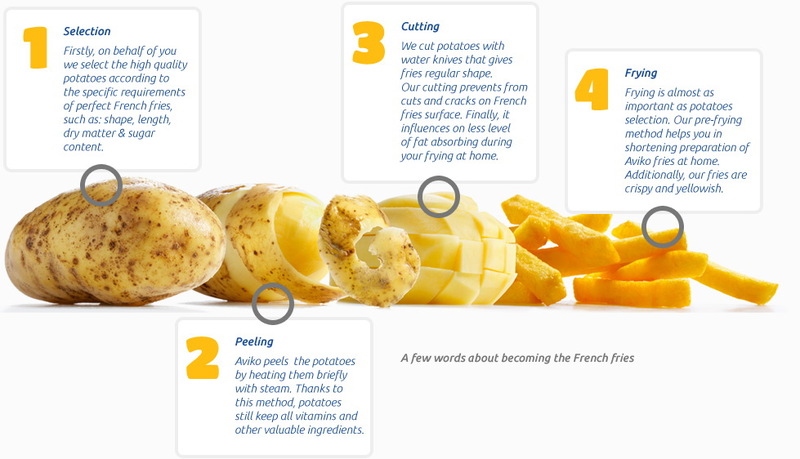 Since being founded in 1962, Aviko has grown to be one of the four largest potato processing companies in the world. Royal Cosun became sole owner of Aviko in 2002. With a market share of 50%, we are the global market leader in chilled fries, which we have achieved by combining our decades of experience and extensive product knowledge with streamlined logistics processes and above all our customer-focused approach. Come on & join us! Let's know each other better! Let's meet at the table!